Spring is just around the corner, and you may be contemplating a shift in your residence. Tread carefully. If you’ve experienced it, you know buyer’s remorse can be painful. That’s especially true if you’ve signed on the dotted line for something as substantial as a home. A mistake can jeopardize your financial flexibility and health – physical and mental. Across the country, the real estate run-up since the Great Recession has resulted in record home prices that make it even more important to avoid a home-buying misstep. Before you make a move, ask yourself these five questions. • Is my credit squared away? A “yes” means you’ve reviewed your credit report at annualcreditreport.com and don’t see any red flags or incorrect information. You’ve eliminated as much debt as possible and avoided applying for new credit for several months before you drop your application. The last thing you want is a surprise as you start the process for what will likely be your biggest financial obligation. Why it matters: Access to a loan at the best possible interest rate hinges on how you’ve handled credit. • Does this home fit in my (realistic) budget? If you can cap your housing payment at 28 percent of your gross monthly income, you should be on track – although that number could fluctuate given your location and financial situation. The total should include principal and interest plus property taxes and homeowners insurance. Beyond that, you’ve got to budget for homeowners association dues, maintenance and the like. If you’re trying to keep your options open, spending less on the biggest line item in your budget is not a bad thing. Why it matters: Overreach on this purchase, and you could find yourself a prisoner in your own home. • Am I stressed out? Buying a home is a big deal, so a little tension on the brink of the purchase is probably the norm. However, if you’re waking up in a sweat-soaked bed or losing sleep wondering if you are about to overspend, that may be your oh-so-smart inner self saying “no.” Remember, just because someone will lend you money doesn’t mean you should borrow it. Why it matters: No one understands the nuances of your finances like you do. Use that knowledge to steer clear of a mistake. • Am I in it for the long haul? At an absolute minimum, you’ve got to be committed to homeownership for three years – and longer is better. Remember, it could cost 10 to 15 percent of your home’s value to buy and sell. If a slow housing market or an unexpected PCS will make you a reluctant or unprepared landlord, you may want to reconsider buying. Why it matters: Real estate prices ebb and flow, but the long-term trend has been up. You don’t want to be forced to sell in a valley. • Have I built a comfortable stash of cash? 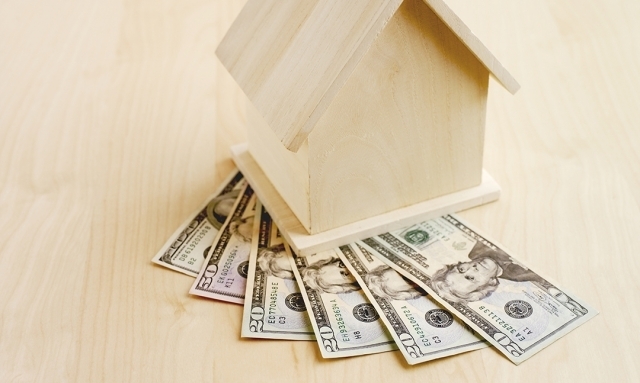 Yes, you need cash to buy a home, even if you’re going to use a VA loan with no down payment. You could need money for closing costs, furnishings or maintenance. Heck, I’ve had to fix my roof, replace broken appliances and repair the air conditioning – all in a relatively new house. Why it matters: As a homeowner, I can say unequivocally that a house offers a never-ending stream of opportunities to spend (or have to spend) money. Be prepared. J.J. Montanaro is a certified financial planner with USAA, The American Legion’s preferred provider of financial services. Submit questions for him online. Subscribe to The American Legion's monthly magazine.